Subtlety has never been Raven’s watchword. 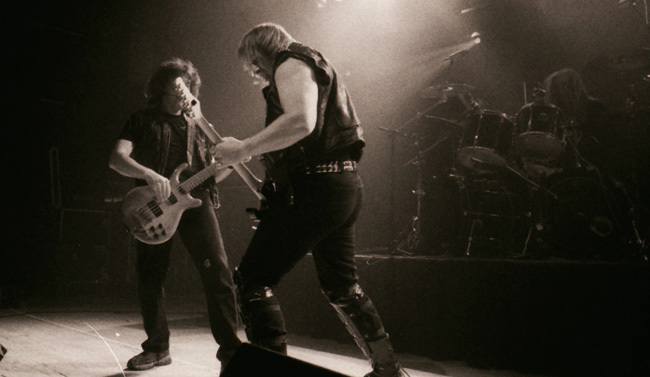 “As subtle as Nellie The Elephant in wellies” was a phrase coined back in 1980, and although they’re not quite the spring chickens they used to be – can it really be thirty-five years since they unleashed ‘Live At The Inferno’? – it’s still appropriate now, as this latest live album unreservedly testifies. The story goes that the Gallagher Brothers and (at the time) new drummer Mike Heller rocked up at Aarlborg in Denmark on 27 November 2017, romped through their set and then moved on to the next show in the next town, but not before the sound engineer had passed over a multi-track recording of the show. The results are clear for all to hear. Over eleven songs and fifty-five minutes the ultimate power trio ably demonstrate that age has blunted neither their talents nor their enthusiasm. Perhaps understandably the bulk of the material on offer comes from the Eighties, which the crowd-pleasing band know is what their audience wants to hear. Opener ‘Destroy All Monsters’ and ‘Tank Treads (The Blood Runs Red)’ are on hand to represent the band’s most recent studio outing ‘ExtermiNation’ but in general this is time machine material, harking back to days of skanky tour vans, dive venues and the golden age of British metal. ‘Faster Than The Speed Of Light’ still does what it says on the tin, and the closing coupling of an extended (and tangent-laden) ‘Break The Chain’ and ‘Crash Bang Wallop’ does take some beating. The flat card LP cover (adorned with some cracking photos, by the way) and mix give the album an almost official bootleg feel which just adds to its street cred. 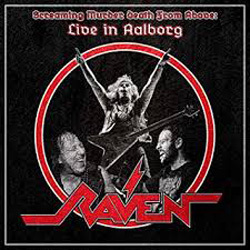 It’s as raw as it was on the night – one self-confessed overdub when a bass string broke aside – and, face facts, if you want spit ‘n’ polish, then Raven aren’t the band for you. ‘Rock Until You Drop’? You betcha!